In a remote Andean village, three men have disappeared. Peruvian Army corporal Lituma and his deputy Tomás have been dispatched to investigate, and to guard the town from the Shining Path guerrillas they assume are responsible. But the townspeople do not trust the officers, and they have their own ideas about what forces claimed the bodies of the missing men. To pass the time, and to cope with their homesickness, Tomás entertains Lituma nightly with the sensuous, surreal tale of his precarious love affair with a wayward prostitute. His stories are intermingled with the ongoing mystery of the missing men. 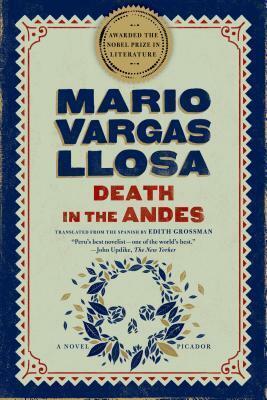 Death in the Andes is an atmospheric suspense story and a political allegory, a panoramic view of contemporary Peru from one of the world's great novelists. MARIO VARGAS LLOSA was awarded the Nobel Prize in Literature in 2010 "for his cartography of structures of power and his trenchant images of the individual's resistance, revolt, and defeat." Peru's foremost writer, he has been awarded the Cervantes Prize, the Spanish-speaking world's most distinguished literary honor, and the Jerusalem Prize. His many works include The Feast of the Goat, The Bad Girl, Aunt Julia and the Scriptwriter, The War of the End of the World, and The Storyteller. He lives in London.